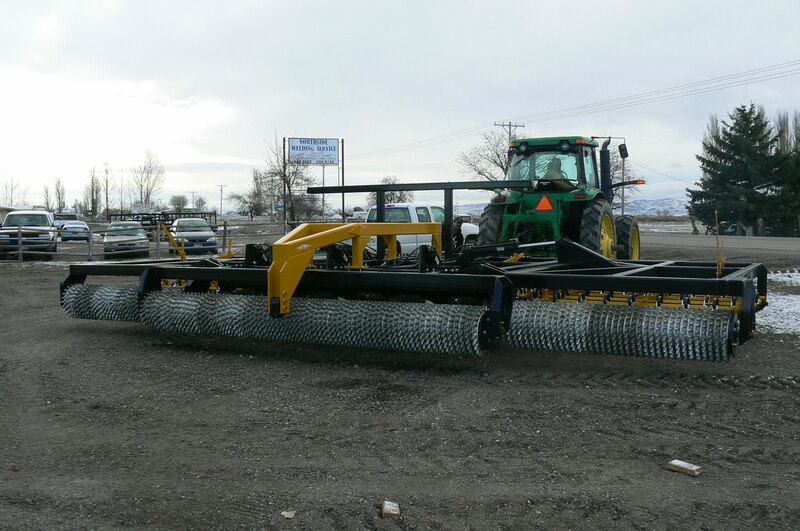 The NSW Roller Harrow is designed to meet the rugged demands of farming in the Intermountain West. 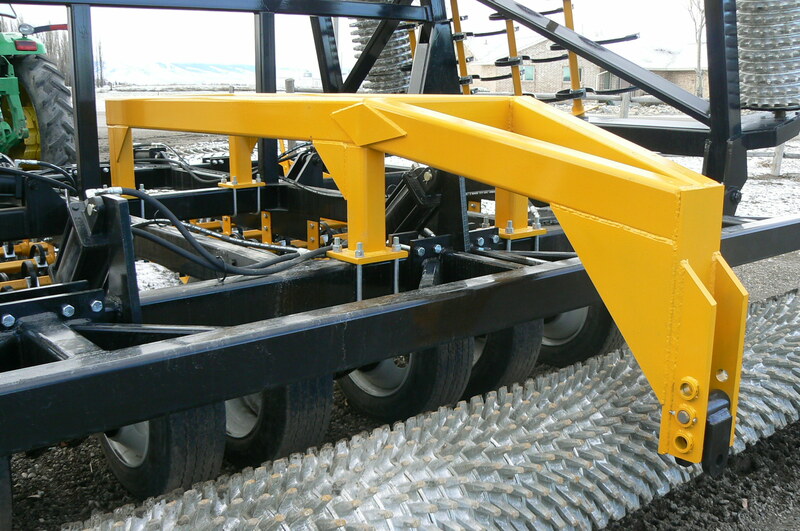 All models are constructed with 3/8″ wall tubing, reinforced at the weld joints. 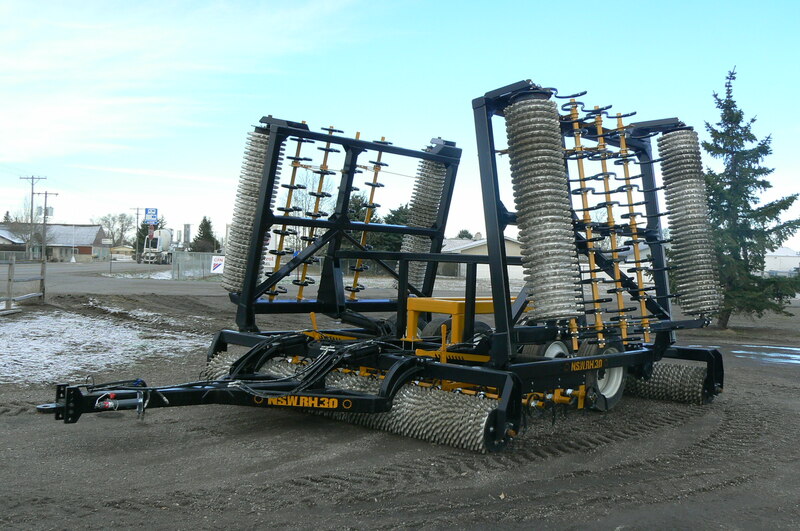 All come standard with 4 rows of 32MM x 10MM S-tine shanks, 14 x 20 ductile packer rings, 2 3/16 domestic bearings on all but the front center roller, which comes with type E tapered roller bearings. The lift/carry axle utilizes 235 x 75 x 17.5 (low profile) truck tires with custom Dayton wheels, each with a load rating of over 3 ton, with 6 wheels on the folding models. 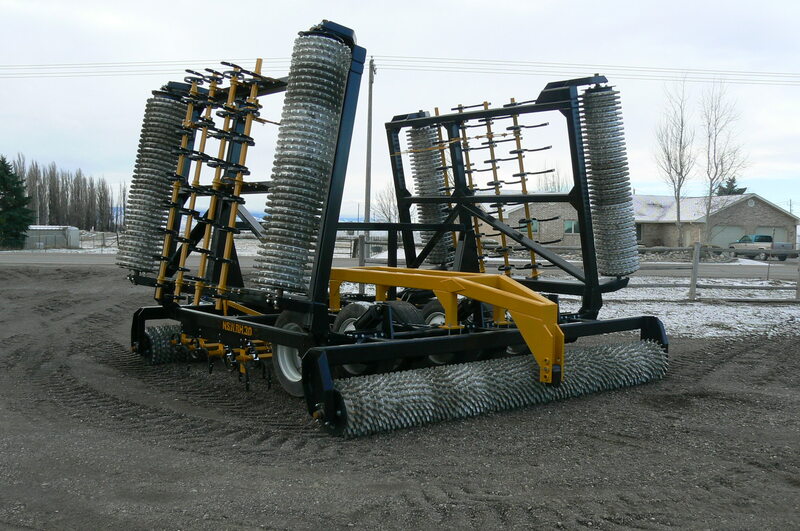 Additional options include leveling bars, grain drill hitches, and hydraulic controlled S-tines. 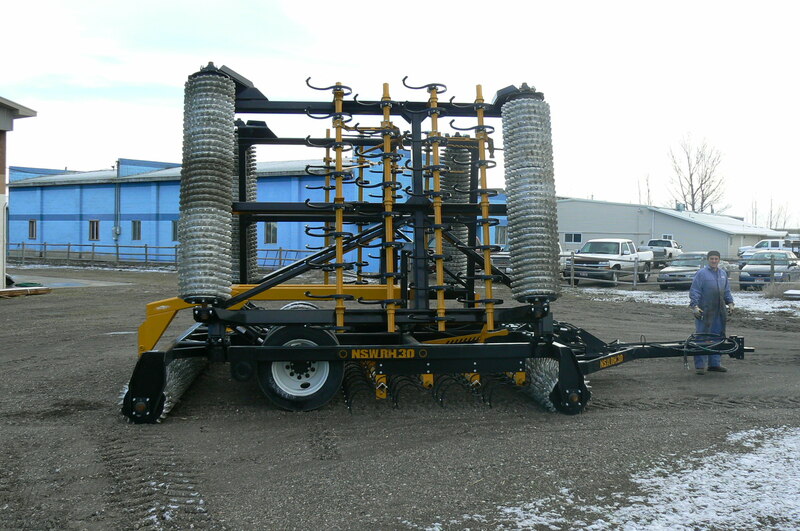 Models available from 14′ through 35′. 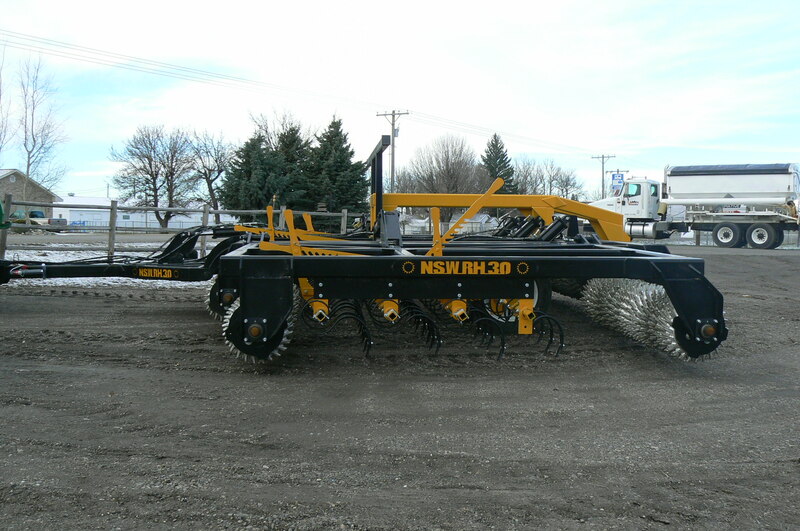 This equipment is exclusively built to order and requires a 50% deposit at time of order.